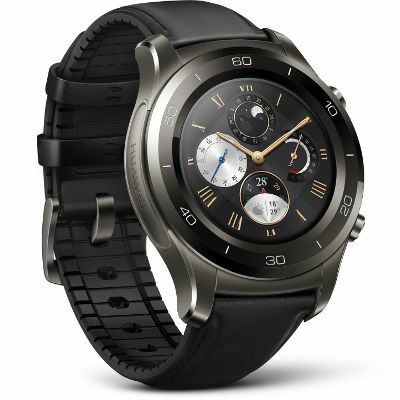 If there are premium smartwatch makers that know what real class is, Huawei has got to be one of them. (Remember Huawei’s smartwatches glittering with Swarovski crystals?) Huawei’s commitment to premium smartwatches continues with the Huawei Watch 2 Classic, the company’s second model in its second generation of smartwatches. Design-wise, the Watch 2 Classic deviates significantly from the first-generation Huawei Watch and brings several welcome improvements over its predecessor, the Huawei Watch 2. Its stainless steel case together with a ceramic bezel create an elegant look that's complemented by a high-definition, standard-watch-size 1.8-inch AMOLED screen (390x390 pixels resolution) and dual-crown design. 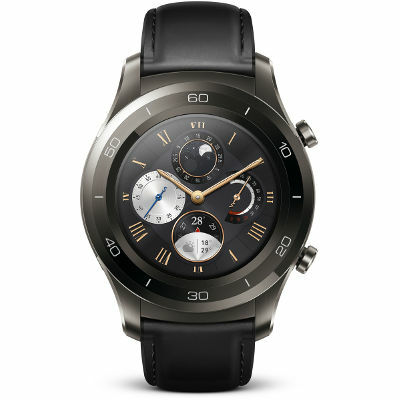 To match the Watch 2 Classic’s stylish face, Huawei opted for a sweat-resistant combo of rubber and leather for the wristband this time, crafting it into a comfortable yet fashionable design that you can comfortably wear at business meetings and formal functions, or while working out at the gym. The band can be replaced with any standard watch band, too, giving you the liberty to customize your watch’s looks. And, the Watch 2 Classic is IP68-certified, so can wear it anywhere — even swimming. Powered by Android Wear 2.0, the Watch 2 Classic provides versatile and adaptive tools to help you keep track of your fitness and manage your health, whether you have an iPhone or Android phone. Integrated connectivity features (GPS, Wi-Fi and Bluetooth) help make this watch a chic tool for improving your well-being. Huawei removed the LTE option this time, although most people don’t find that a deal breaker. For those who want to stay fit, the Watch 2 Classic has a built-in heart-rate monitor and can track your steps, how long you’ve engaged in moderate and high-intensity exercise and how long you’ve been standing. If you program the watch with your fitness targets, it can remind you to stand up or begin working out. The Watch 2 Classic’s 420-mAh optimized lithium-polymer battery supplies power for up to three weeks in watch mode with just the pedometer turned on. Under regular smartwatch use, the Watch 2 Classic can last up to about two days and up to 10 hours in training mode with the heart rate sensor and GPS active. Thankfully, fast-charging technology allows you to bring power back from zero to full in less than one hour. 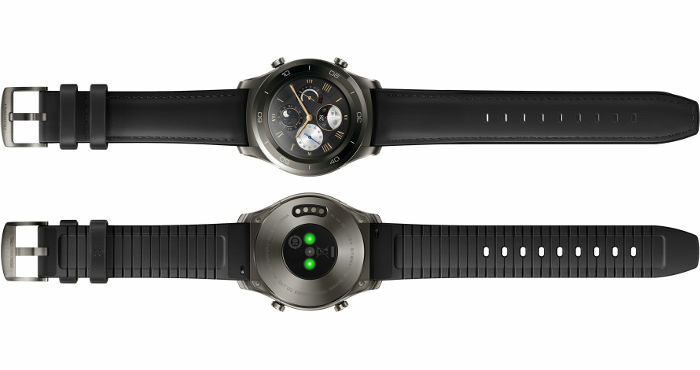 The watch will set you back $369.99 on Amazon. Still keeping your smartwatch options open? Read our post about which smartwatch could be right for you. Or, if you’re looking for affordable sports smartwatches, check out our list of the best fitness watches under $200.